Goa Pradesh Congress Committee (GPCC) president Girish Chodankar on Wednesday accused Goa Chief Minister Manohar Parrikar of being obstinate in not relinquishing the chief ministerial chair. Chodankar accused Parrikar, as well ruling coalition allies, of holding the people of Goa to ransom. "Manohar Parrikar's obstinate insistence on sticking to his chair is jeopardising not only his own health but it is also impacting upon the administration and health of the state," he said in a statement. The GPCC president further said that the Bharatiya Janata Party (BJP) and ruling allies, the Maharashtrawadi Gomantak Party (MGP) and Goa Forward Party (GFP) have "no right to hold the state and its people to ransom through emotional blackmail by cashing on people's sentiment of goodwill towards a sick man." "Parrikar and BJP should stop thinking that he is irreplaceable and come out of his self induced hallucination that all his colleagues are incompetent and useless to adorn the Chair of Chief Minister. But the BJP seems to be reluctant to hand over charge to any other person as it well known for being dependent on one person to hold fort for them and with Parrikar not being there, there is dearth of people with leadership quality." he added. The GPCC president also appealed to Goa Governor Mridula Sinha to dismiss the BJP-led coalition government in the state. He warned of a state-wide protest if their demands are not met. Chodankar reiterated that the BJP should focus on the health of Parrikar by relieving him from the post of the Chief Minister so that his recovery could be faster and at the same time the state does not suffer. He further said that the administration in Goa is in ICU in view of the absence of Chief Minister and two of his senior colleagues on serious medical grounds for several months. "This has been happening since February that CM is unwell and most of this period he is recuperating. However with the frequency of his absenteeism it is high time he hands over the charge to some other person as the people of Goa should not bear the brunt of his health as the administration is totally on its knees. The state is in self-imposed emergency situation with no one there to man the affairs of the state." Chodankar said. "We once again appeal to the Governor (Mridula Sinha) to intervene to have full-time Chief Minister, if not she should withdraw her pleasure in the Council of Ministers and dismiss this government forthwith and restore the mandate of the people by inviting Congress party to form Government. Today there is an emergency like situation in Goa. We have already submitted a memorandum to that effect and will approach Governor once again. We give ultimatum to the Governor and the Government that we along with people of Goa will call state-wide agitation to protest against this state of affairs in Goa," he added. Parrikar will fly to the United States later today for further medical treatment as he has developed "minor complications. 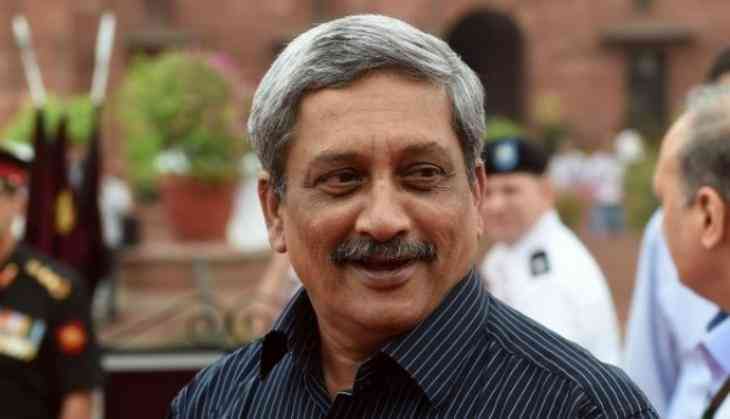 Parrikar, who is suffering from a pancreatic ailment, flew to the US earlier this year for treatment. He returned to the country in June, after two-and-half months. Earlier this month, he went there again for a follow-up. The Chief Minister is currently admitted in Mumbai's Lilavati Hospital.